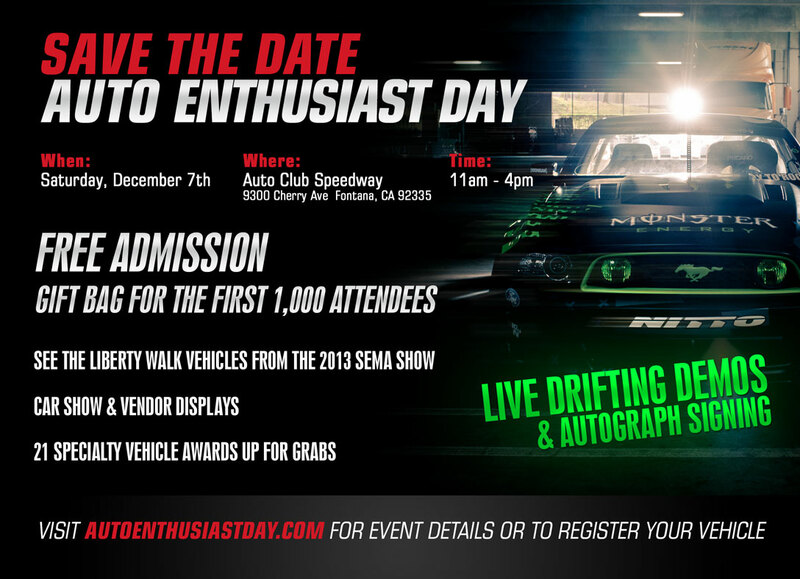 We're excited to announce this weekend's Auto Enthusiast Day at the Auto Club Speedway, sponsored by Nitto Tire. The event is free for attendees, free for display vehicles, free for spectators and free parking! Be sure to make it out.